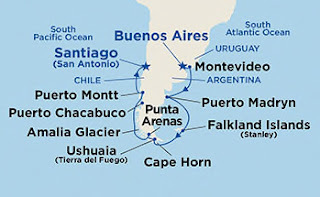 During the last two weeks of January, Tom did a fourteen day Princess cruise around the coast of South America. He said that his favorite stop was the Falkland Islands. Tom also raved about the Iguazu Falls. He had booked an excursion to Antartica, but there weren't enough people. Sunday afternoon, Sharon and I went to Tom's house for a great South American dinner to celebrate the trip. The group included Tom, Jim, Eric and Ashley, Kevin, Leah, Lydia and Amelia, Sharon and I.